CHEW: CHEW: SECRET AGENT POYO featured in USA Today! 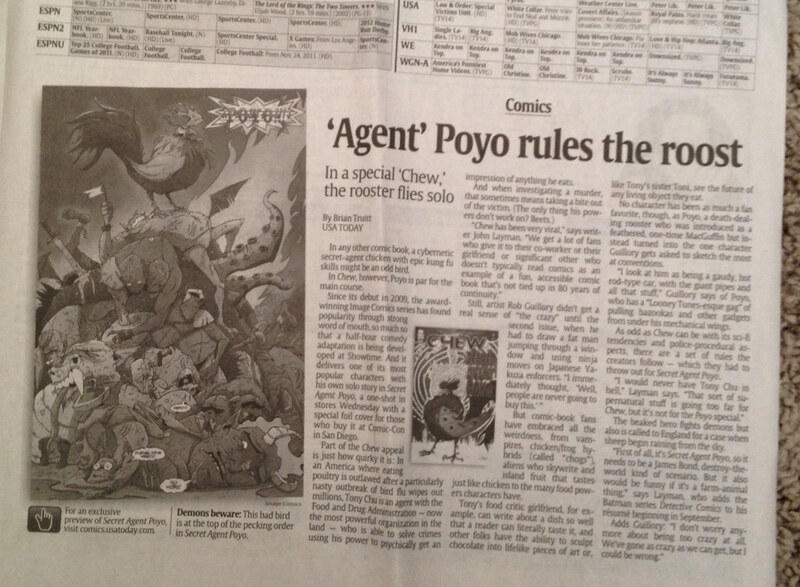 CHEW: SECRET AGENT POYO featured in USA Today! Some great CHEW Comic Con Coverage. CHEW featured in New York Times! CHEW / Skelton Crew Studio licensing agreement!